Roughly translated, the term guanxi (pronounced ‘gwan-shee’) can be taken to mean ‘relationship’ (1) and is a way of describing one of the worlds oldest and most complex social systems. With origins dating back to the 2,500 year old Confucianism way of thinking about our social connections (2), the term has confused and de-railed businesswomen and men from other cultures for decades (3). Without an understanding or basic appreciation of the guanxi approach, negotiations, marketing and even recruitment could be troublesome when working with those brought-up with guanxi principles. This article aims to provide an overview of the concept of guanxi to help you navigate social complexities with a little appreciation and cultural intelligence. One of the most widely accepted definitions of Guanxi explains that the concept describes interpersonal connections that imply a continued exchange of favors (4). However, different cultures with Chinese links may interpret Guanxi as more of a ‘backdoor’ system to bypassing certain rules and regulations and therefore it is important to be aware of the complexities underlying this term and the possible implications of differing interpretations. Although guanxi may appear to be linked to corruption, it should be noted that corruption is generally considered to be a misuseof guanxi. 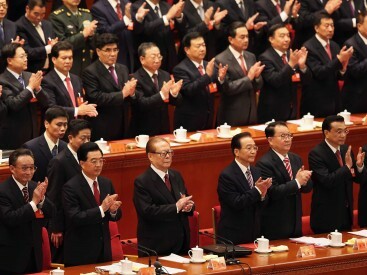 Whilst the concept of guanxi was formally put on hold during the Chinese Cultural Revolution of 1966 – 1976, the tradition continued for many of the Chinese communities overseas and the concept has adapted to take local laws into consideration (8). Guanxi relationships can be of differing strengths, for example they can be a more simple reciprocity between old friends and distant relatives or they could be of a more complex or special nature if they include a government official or special customer (7). Furthermore, the concept of guanxi is not restricted to Chinese culture alone; long-term, complex reciprocal relationships in business are also recognized in Japan (Keiretsus), South Korea (Chaebols), the Middle East (wasta) and Italy (14). Today, we see a large variety of attitudes towards and practices relating to guanxi, not only between overseas Chinese communities but also differences within China itself in terms of geography, social background and age (older individuals tend to place more of an emphasis on guanxi) (10). Some scholars argue that with the opening-up of Chinese policies and the reform towards more international values, there will be less of a need for guanxi, however, attitudes amongst older generations have been found to be slow to change and the traditions continue to be upheld to differing extents amongst communities (3). There have been a number of business failures due to an understimation of guanxi influences. One famous example is eBay, who in 2004, attempted to enter the Chinese market. After establishing a platform, they launched the brand throughout China, expecting an enthusiastic response. However after 2 years, eBay abandoned the Chinese market, which was quickly taken over by local competitor Taobao, who took 95% of the market share (11). The success of Taobao where eBay failed has been linked to the messaging capabilities of the company – allowing the buyer and seller to establish a personal relationship before the transaction. However it should be noted that since then eBay went on to successfully provide a platform for Chinese businesses to export goods, where it seems that the establishment of guanxi is not a pre-requisite to sales. When it comes to building business relationships with those following guanxi principles, it is common for negotiations to last longer, for there to be less emphasis placed on contracts and for there to be more of a long-term focus (9). Navigating guanxi can be extremely complex for foreign businesses but can also be made more difficult if there are restrictions put in place that mean gifts cannot be accepted/offered or that a decision must be reached in a short time span. Our programs on cultural intelligence bring you the tools to adapt your behaviour across cultures to work with new partners, be smart about the way you approach new markets and also addresses the need for cultural intelligence within diverse teams to improve overall performance. At The Change School, our corporate programs can be tailored to the needs of your team or situation – from a 2 hour Culture 101 to help you get off on the right foot with a new partner to a week long team retreat in Bali to address diversity, company culture and adaptation, we have the expertise and flexibility to address your unique situation. 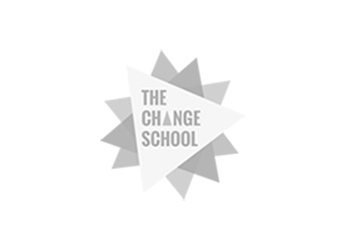 Please say hello to Josie at josie@thechangeschool.com to introduce yourself and find out more about how we can help. 2) Pablos, P. (2006). Western and Eastern views on social networks. The Learning Organization, 12 (5), 436-456. 3) Yang, F. (2011). The Importance of guanxi to multinational companies in China.Asian Social Science, 7(7), p163. 4) Luo, Y. (2000). Guanxi and business (Vol. 1). World Scientific. 5) Zhang, J., & Pimpa, N. (2012). Embracing guanxi: the literature review. Advancing Technologies for Asian Business, 85-93. 8) Masino, G. (2008). Culture and management in Italy: Tradition, modernization, new challenges. Gestion en contexte interculturel: approches, problématiques, pratiques et plongées. Presse de l’Université Laval et Télé-université UQAM, Québec. 10) Worm, V. (2008). China: Business Opportunities in a Globalizing Economy. Copenhagen Business School Press DK. 13) Ang, S., Van Dyne, L., Koh, C., Ng, K. Y., Templer, K. J., Tay, C., & Chandrasekar, N. A. (2007). Cultural intelligence: Its measurement and effects on cultural judgment and decision making, cultural adaptation and task performance.Management and organization review, 3(3), 335-371. 14) Drew, A. J. (2010). Chinese perceptions of guanxi in Mainland and overseas Chinese business communities| NOVA. The University of Newcastle's Digital Repository.